Street writing – coming out of the creative writing wilderness, part 2 | Don't mention the M word! Sheila Hannon, producer / writer, Show of Strength Theatre Company. I literally screwed my eyes, blinking in disbelief, when I saw the list of 12 selected writers (out of 40) whose scripts were to be performed by Show of Strength Theatre Company. Mine was the very last name on that list. Although this was an open call for scripts, associating itself with a Literature festival has brought forth submissions from professional writers, as well as those new to writing. What joy for me with this being my first foray into script writing for a very long time to be amongst good company. My short monologue is set to be staged as part of Trading Local – by Show of Strength Theatre Company in association with Wells Festival of Literature. This is high street retail theatre, re-defining the role of the high street, that is championed by the likes of Mary Portas, amongst others. When I began my script I had in mind that it would be staged in Wells, as such it should tell the story of Wells in some way. My starting point was to explore what defines a place like Wells. Is it the majestical Cathedral with a scatter of historic buildings across the town or perhaps something else as well? The people maybe? Wells has been a hotbed for talent especially for those going into the arts, film and TV industries. Often these people have kept their links with England’s smallest city. Director and writer Edgar Wright had Wells as the main location for his film Hot Fuzz. Edgar was a pupil at Wells Blue School. The director of The Libertine, Laurence Dunmore, is a former Wells Cathedral School boy, who brought Jack Davenport, John Malkovich, Johnny Depp, Johnny Vegas and Samantha Morton to Wells to film scenes. 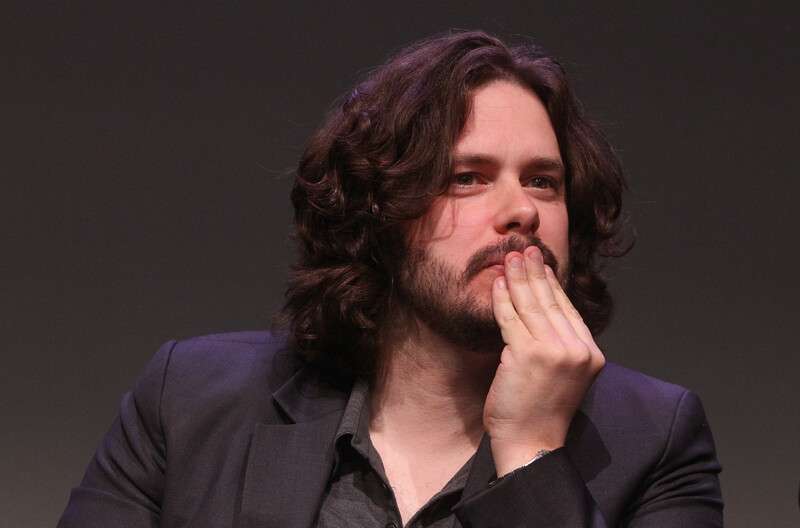 Edgar Wright made Wells the star of his film “Hot Fuzz” to the delight of locals. Edgar now writes scripts for Speilberg, while Laurence has worked with Ridley Scott. Following his attendance at Wells Cathedral School actor Kris Marshall has become a house-hold name starring in My Family, while currently he is in Death in Paradise on BBC1. Duncan Pow was a regular in Holby City, since then he’s been in The Wrong Mans written and starring James Corden, More recently Duncan was state-side in 24 with Kiefer Sutherland. Pow also attended Wells Blue School. Another Wells Blue student, Simon Bowles, is a production designer. Last year Simon’s work was featured in 3 of the top 10 films compiled by Mark Kermode for his annual best of. I could go on, there is a long list of boys and girls from Wells who are doing rather well in Film and TV. Peter Wild and his glass of Red. 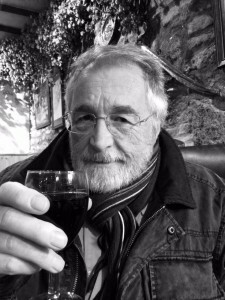 A friend of mine – Peter Wild – was the drama teacher at Wells Blue School from 1976 to 2005. Peter has kept in touch with his students (or should I say an unusually high number of ex-students maintain ties with their ex teacher they still fondly refer to as Mr Wild). I surreptitiously generated a list of ex-students names after plying Peter with a glass or two of red one evening. I was looking to build a picture of Mr Wild – drama teacher – at Wells Blue School to consider if there was a connection between Peter and his students continuing on (following school) to pursue great things in life, including the chaps mentioned above. Mr Wild – my script – has a central character who works part-time as a tour guide in Wells. The audience is on the tour. He is a fictional ex Wells’ Blue pupil of Mr Wild, friends with the real life ex students of Peter I contacted. My character did not leave Wells to pursue his talents, like his friends, even though he was/is a funny and talented actor. My character recounts amusing anecdotes about Mr Wild and his mates during school. He is distracted from reeling off dry historical facts about the town to his tour because he had previously seen Mr Wild on an earlier tour. Put it this way Mr Wild wasn’t a conventional teacher, certainly leaving a lasting impression on his students! I grew up in Shepton Mallet, in an area that was considered to be quite poor. I grew up in housing association flats (Sales House) before my family moved to Meadow Rise, adjacent to Hillmead. Home life – although loving – was difficult with a boozy mum and her tempestuous relationship with her husband – my step dad. The first couple of years at secondary school I paid little attention to the education-side focusing more on working out the dynamics of friendships and how to stake my place amongst my peers. I was disruptive at School, not a model pupil, put it this way. Until one day in one particular English lesson my teacher Mrs Newman switched me on while reading a poem. It changed everything. After that my head was buried in books, I excelled. Creativity and enterprise ensued at school to become the foundation of who I am today. I came away from School with good GCSES which gave me access to further education and beyond. At Strode I worked in a small group of talented students who worked together under an inspiring lecturer/writer: Chris Fogg. I’m not claiming to have risen to a great height in my profession, but I do wonder where my life would have gone if I hadn’t been in Mrs Newman’s class and had not met Chris Fogg. My script is a tribute to teachers and mentors who irrevocably change our future selves. This in turn can become a cluster of talent that can shine a bright light on a place, like Wells, drawing in others to follow in their footsteps. “Mr Wild” as part of Trading Local Wells is being staged on March 21st, 10.30am – 4.30pm at Wells Cinema. Download the schedule from Show of Strength Theatre Company website and follow updates on Wells Festival of Literature facebook page. Bravo Clair! Plunging into the literary unknown and emerging as a writer lauded by one’s peers must be sweet vindication for someone who has a dysfunction of the pen. I look forward to seeing the upcoming Show of Strength Theatre production of your script in Wells.